On Tuesday, 27 June, Olyvia Nikou QC appeared on behalf of Greek Community of Melbourne (GCM) before the Select Senate Committee on Strengthening Multiculturalism. 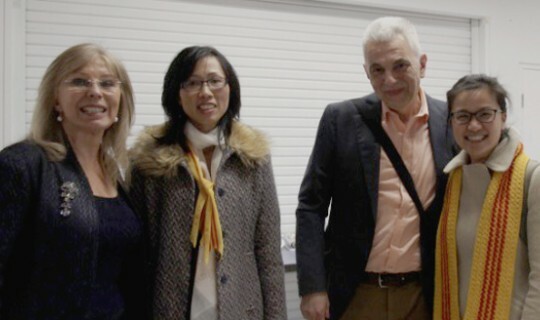 Ms Nikou advocated the key points which had already been prepared and submitted by Professor Nikos Papastergiadis, Costas Markos and Dr Daniella Trimbolli. Olyvia was assisted by Costas Markos (Secretary of the Greek Community) particularly at question time. (a) GOCMV in its 120 year history has served Greek Australians in areas of welfare, education, culture, social issues and assistance with navigating services and problems with settlement. (b) It is an organisation well placed to provide leadership, a bridge with other emerging migrant groups and a platform for informed consultation on key issues facing our increasingly diverse community. (c) In an increasingly globalised and complex world, the issues facing migrants become more challenging. However, it also provides an enriched pool from which we can innovate and progress. (d) Multiculturalism and legislation require strengthening to achieve world’s best practice. Consultation with organisations like GOCMV are imperative prior to policy enactments. The GCM has already made a real connection with the Vietnamese community in a meaningful and encouraging way. The Greek Community proposes to explore the benefits of exchanging ideas and assisting our respective organisations in achieving our endeavours. The aim is to strengthen the voice of multiculturalism so politicians listen before they act and education reduces the opportunity for ignorant fear mongering and hatred.